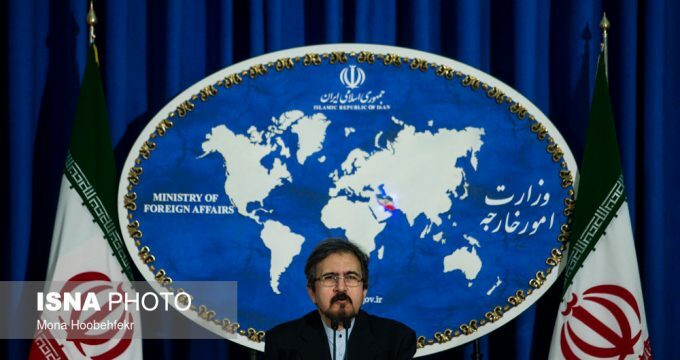 MNA – Foreign Ministry spokesman condemned Mosul terrorist attack in Iraq, saying terrorist groups are planning to take revenge on their defeat against the Iraqi government and people, but will be destroyed from the region soon and forever. Bahram Ghasemi offered condolences to the Iraqi government and people over the deadly terrorists attack, which claimed the lives of a number of innocent Iraqi people, asserting Iran’s full solidarity with Iraq in its efforts to achieve security and stability. “They will never succeed and will be soon destroyed from the region forever,” he noted. Iran has always called for the necessity of intensifying international efforts to eradicate terrorism in all its forum, dry up its roots and stand against extremist thoughts. Three people were killed and 12 others were wounded in a car bombing in Mosul, the first such attack in the northern Iraqi city since it was liberated from ISIL last year. The car bomb detonated on Thursday night at a restaurant in the war-ravaged west of Iraq’s second city. ISIL overran Mosul in 2014, transforming the northern city into its de facto Iraqi capital until government forces recaptured it in July 2017. Months later, the Iraqi government declared it had fully defeated ISIL.